If you’re looking for information about common feline illnesses, conditions, or pet care tips, you’ve come to the right place. 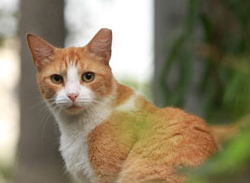 VetDepot’s Cat Education Center is full of informative articles about all facets of cat care. For example if you want to know more about common cat vaccines and what they do, VetDepot can help. Turn to VetDepot for all your pet medication and pet supply needs to make sure your feline friend lives a healthy, happy life.